Now orange-ball conditions like this are snood-worthy. Lech drew 1-1 with Juve at home yesterday, a result that means Lech advance to the last 32 of the Europa League, while the Old Lady crashes out. Being from Warsaw I’m no great Poznan fan, but I still can’t help feeling a little smug about this. Good to see Juve crash out. As for snow and football. 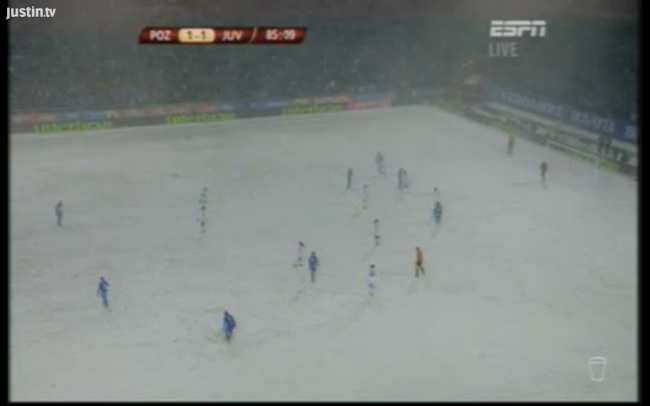 Just watch any Russian Premier League matches in November.